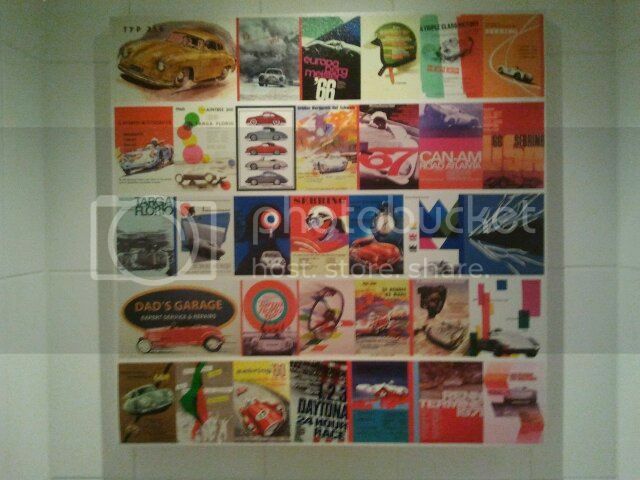 www.spyderclub.com • View topic - Porsche 550 Spyder art: what is on your wall??? 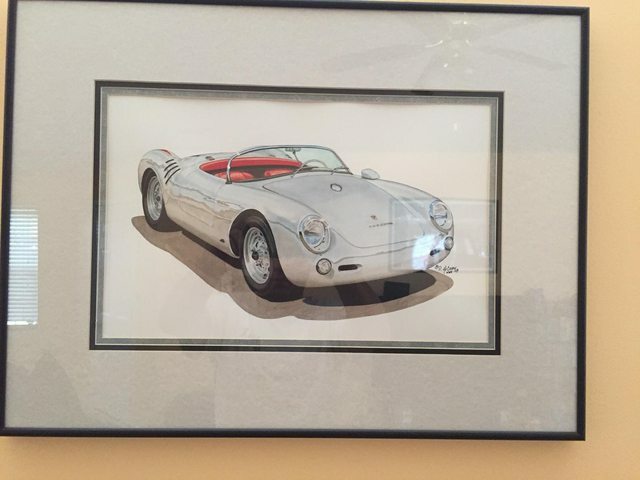 Porsche 550 Spyder art: what is on your wall??? Do you have any Spyder related artwork on your wall(s)? 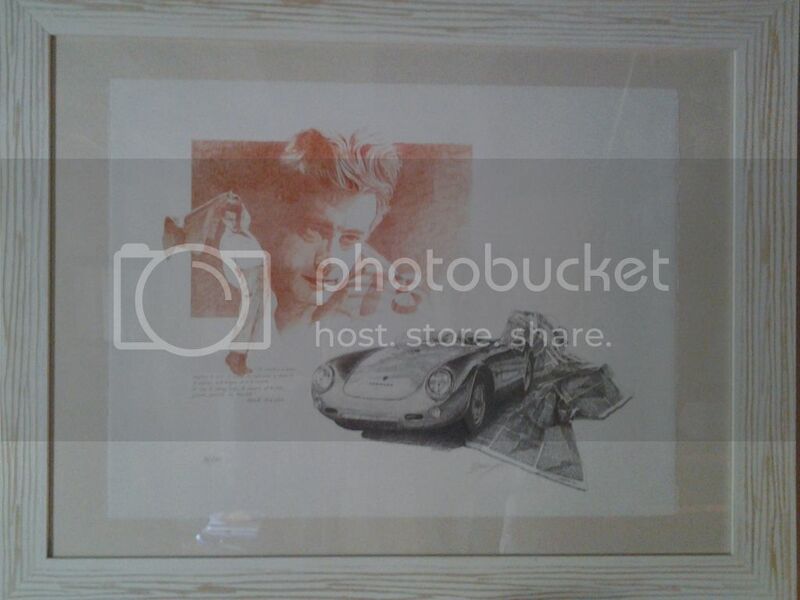 Re: Porsche 550 Spyder art: what is on your wall??? Very cool - where did you get it from?? My whole garage is full of prints, banner of 550-01, 550 racing mural photos, pegasus/michelin men on walls and original paintings. It was a present, so I don't know where she got it from, who she had to bribe (or sleep with) to get it. I'm just happy she did and gave it to me as a present! 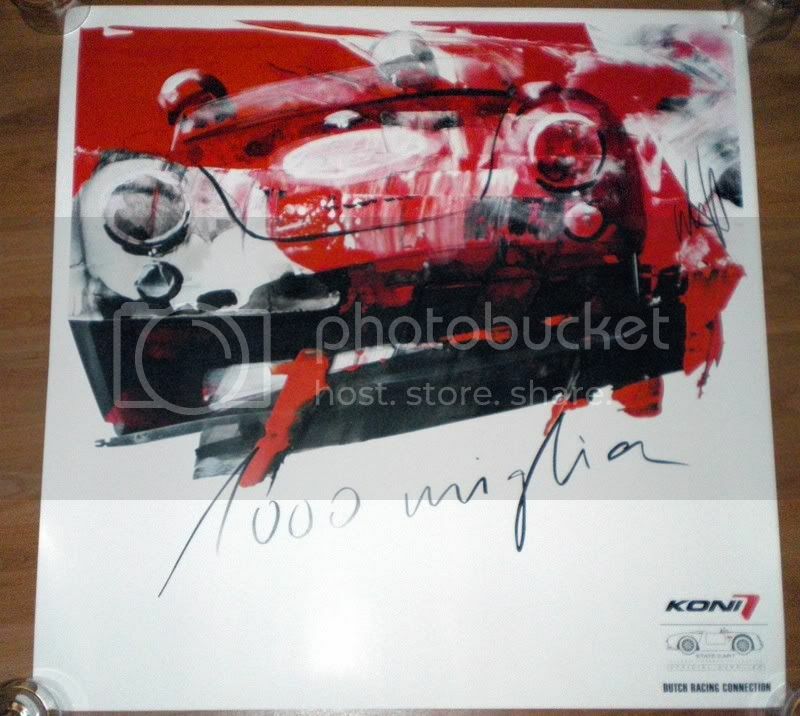 It's now on sale and costs only € 12,50: it's on canvas and look awesome in reality. Look at this everyday in my living room. My current office set up. Porsche Sebring Rally poster as well as 245 Heures poster. Bonus: the coffee mug features a Weber carb that fits the Spyder 550. Bought at Monterey a few years back. Spydergirl had this painting of her car done a few years ago.